I’m going to start saying this to the family members who ask me when I’m getting married. 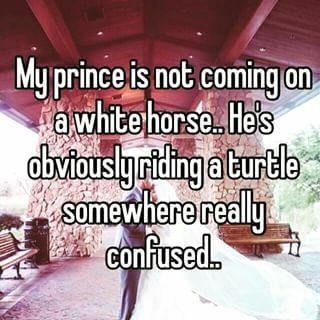 Allison Abate • This entry was posted in True Story and tagged funny, love, prince, romance, true story tuesday, turtle. Bookmark the permalink.